Can an Independent Amsterdam Agency Tame Gotham’s Many Challenges? Amsterdam-based independent SuperHeroes is about to find out. The 7-year-old agency employs 40 staffers at its headquarters, and has won acclaim for innovative campaigns on behalf of LG, Heineken, Asus and others. Now, SuperHeroes has opened its first office outside Holland, tapping 360i veteran Rob Zuurbier as managing partner to lead the charge. Launching with just three employees working in a high-ceilinged former warehouse space in Williamsburg, Brooklyn, Zuurbier has no illusions about the task that lies ahead. "We have been prepping for over a year, and we've waited for the right conditions," he said. "We're not looking to do too much too soon, and have a pretty solid base, both the support of Amsterdam as well as the security that our existing international client roster gives us." That's all well and good, experts say, but any geographic expansion can be challenging. And growing an office in New York can be especially rough, both for international shops and agencies hailing from other regions of the United States. "New York is a very hard market to succeed in," said industry consultant Avi Dan. "People think success can translate to N.Y.C.—but that's rarely the case, actually." Yes, there have been successful out of towners. Big names like Bartle Bogle Hegarty, TBWAChiatDay and Wieden + Kennedy have persevered in New York, while smaller, creatively focused shops such as Mother, Pereira & O'Dell, StrawberryFrog and Taxi have enjoyed varying degrees of prosperity. There have also been notable failures, with Beattie McGuinness Bungay, Fallon and Goodby, Silverstein & Partners among those that ultimately packed up and left town. Why is it so tough to make it in New York? First off, it's an incredibly expensive proposition in terms of real estate and talent. "You probably need a cash flow of at least $1 million every year," Dan said. "And if you don't have a leading client, that's a tough proposition." What's more, adding business can be tricky. That's partly because of fierce competition—plus, clients in and around New York tend to be conservative in nature, largely financial services and pharmaceutical concerns, that aren't easily swayed by hot creative shops. Often, agencies coming in "expect to pick up business immediately, but that doesn't really happen," Dan said. Unless they are purely service offices, or else propped up by a holding company, "most can't afford to have the kind of patience" that's required to build a client base from scratch, he added. Culture and philosophy also come into play. It is exceptionally difficult, perhaps impossible, to replicate a winning agency culture in a distant office. Yet, prospective clients often seek that out—and, when they find a satellite office isn't what they expected, they pass it by. "Like any brand, agencies expanding in new markets need to strike a balance between their own values as a business and the culture into which they are entering," said Peter Ravailhe, CEO of Mother New York. "Good creative companies have to be attuned to the nuance of local markets, both for their talent and their clients." Whether in New York or elsewhere, it takes time for satellite offices to establish their own identities. Given the expense involved, many won't have enough time to forge winning personalities. "Our business should change according to the people, the client, the place," said P.J. Pereira, chief creative officer at Pereira & O'Dell, a San Francisco-based agency that operates offices in New York and São Paulo. "That's actually why you need a different office. The reason to expand is to allow your core DNA to get mixed with the local culture." 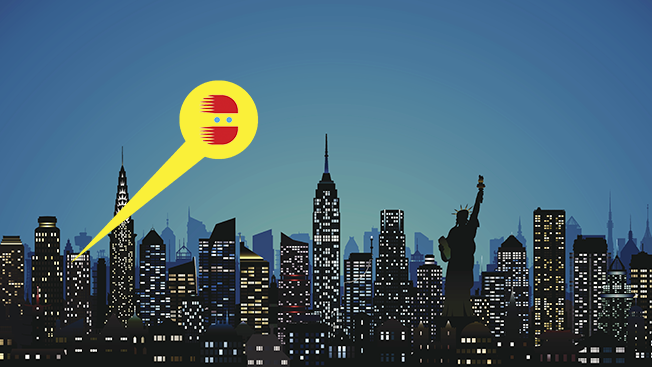 As for New York's newest agency arrival, SuperHeroes seems well aware of the long road ahead, and has modest plans for a 15- to 20-person office by year's end. Whatever the challenges, Zuurbier envisions the offshoot staying true to its roots and cultivating clients willing to take creative risks. "We're simply not going to do matching-luggage campaigns or go for the cash-cow-type client," he said. "If it comes to that, I'll grab my surfboard and go chase waves for a year." This story first appeared in the Feb. 22 issue of Adweek magazine. Click here to subscribe.